Brooklyn, NY - The owner of a Brooklyn bakery took the local police precinct to task after a 911 call to report a violent individual in his store received a belated telephone response. The incident took place at the Korn’s Bakery on 18th Avenue and 43rd Street, just three blocks from the 70th Precinct station house. 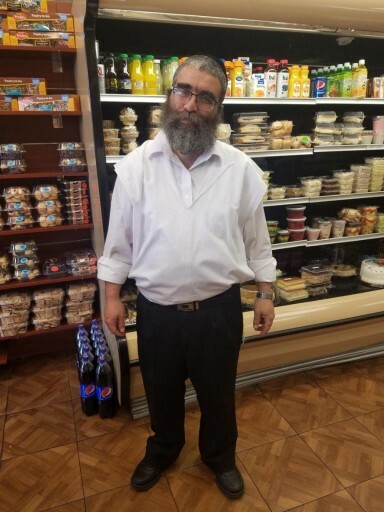 Pesach Hirsch, owner of the bakery, said that he called 911 at 8 AM this morning after an emotionally disturbed man grabbed the cash register and began throwing money while screaming at customers, according to reports in the Daily News. While Hirsch was expecting uniformed officers to respond to his store, he said that police contacted him by phone, nearly 30 minutes later, to find out if the man was still there. An irate Hirsch slammed police for their halfhearted response, noting that police had no way of knowing if the man was armed and if anyone in the bakery was in immediate danger. “If this was someone illegally parking outside they would have been here in a minute,” said Hirsch. A spokesperson at the NYPD’s Office of the Deputy Commissioner of Public Information said that they had no record of any 911 call received in regard to the incident. Assemblyman Dov Hikind said that he had not been made aware of the incident at Korn’s but that police from the 70th Precinct typically respond quickly to 911 calls. The precinct is in fact three blocks away but it's not like the cops are sitting in the precinct and waiting for calls. They are all over. Summer time is a very busy season and they have a lot of calls. Someone I know was listening to the radio. At that same time there was a cop calling for help on church Ave and east 18 st for a shooting that happened. Which place do you think the cops will respond first ? Disorderly person in bakery ? Or a shooter that actually shot on church Ave ?? After looking for that person the cops went back to the bakery, explained mr hirch why they had a delay. Mr hirch seems to just want a little attention for his relative new bakery in the area. This makes absolute sense. Many times police will ask the dispatcher to call back to confirm. 311 does not work-- maybe 911 does not work either?? There is no 18th ave and 43rd Street in Brooklyn. 18th Avenue streets skip from 45 to East 2. Is this the bakery that's between East 2nd and McDonald Ave? Duh, You missed the whole point !!! of course there is "no record" of this call, when you have the fox guarding the sheep what do you expect, ever since the NYPD became "diverse" it wont really downhill. Based on complaints my office has received, the truth of the matter is this is a real problem in the 66 and 70 precincts. To what extent it is retribution for the shomrim fiasco (which brought down senior officers of those precincts), is subject to an individuals conjecture. Credit is due to the senior administration of the NYPD which is currently investigating this matter. obviously, this business owner knows nothing about what to tell 911 to g et them there right away, without actually lying.